Places of Fancy: Where Is Castle Dracula? Transylvania is inextricably linked to the legend of Dracula, by and large the most famous vampire in the world. Bram Stoker, oblivious to his forthcoming fame, much less the repercussions on tourism, set his best-known oeuvre in this beautiful Romanian province. When asked where is Dracula's Castle, Romania's tourism officials would direct you first to Bran Castle in Transylvania. Prince Vlad Tepes, the Wallachian "impaler" who inspired Dracula's character, supposedly lived awhile here. Some also say Castle Dracula germinated after Stoker read about Bran. But evidence is sparse that Vlad the Impaler lived long enough in Bran to call it his residence. Historians point instead to Poenari Castle, also in Transylvania, as Vlad's home. 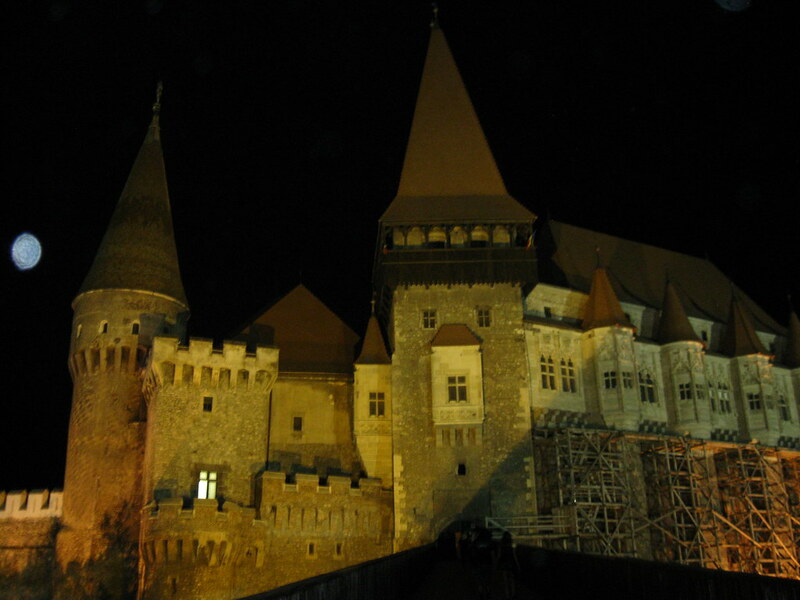 Vlad was imprisoned relatively close by in Corvin Castle, also known as Hunyad Castle. Then again, Stoker never said Dracula equals Vlad. All three castles technically have nothing to do with vampires. In researching Stoker's notes, social scientist Hans Corneel de Roos discovered that the author actually pictured the Dracula castle atop the Kelemen Alps close to the Transylvania-Moldavia border. The place is bereft of castles though...or those visible to human eyes.